Hazyview sits to the west of many Mpumalanga game reserves. Greened by the broad fans of banana plants and warmed in summer by a glimmering haze that gives the small farming town its name, Hazyview is a small tropical oasis that offers a superb stopover and recharge before continuing on to one of the region’s safari lodges. Check in at Perry’s Bridge Hollow, a stylishly comfy boutique hotel amid baobab, fig and acacia trees. 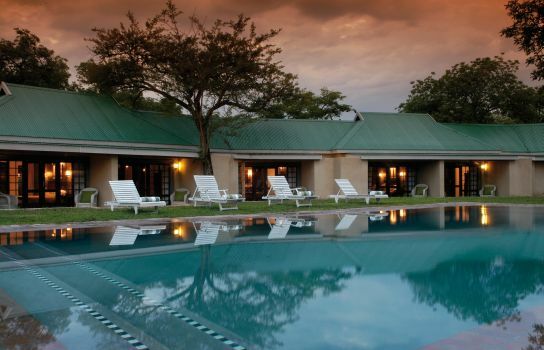 Here, you’ll be virtually on the doorstep of the Kruger National Park, and a short drive to the central Sabi Sand game reserves and the glorious Panorama Route. 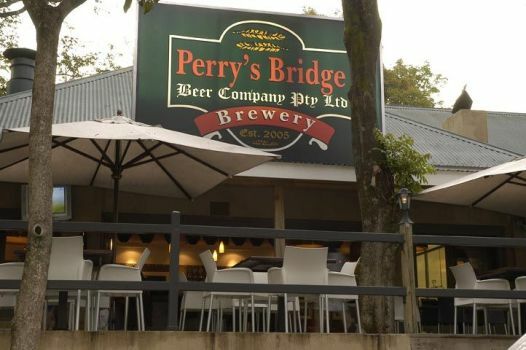 The hotel is set in the Perry’s Bridge Trading Post, where you can eat out in Afro-chic style and enjoy locally brewed lager at Perry’s Bridge Brewery. View special offer at Perry’s Bridge Hollow: R750 per person/ night, sharing. 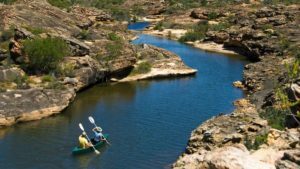 Be sure to do an elephantback safari in Hazyview, and visit the local reptile park, the Blyde River Canyon, Bourke’s Luck Potholes and the Gustav Klinbiel Nature Reserve. 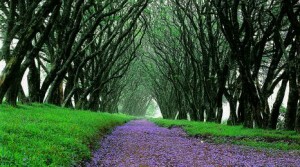 Another attractive little farming town, White River is situated just north of Nelspruit. It’s a region of forests and dams, not far from the Kruger National Park and 84km from the Sabi Sand Game Reserve. 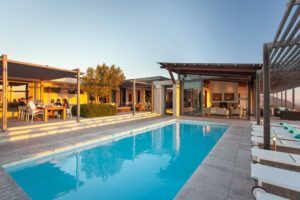 Stop for a revitalising night or two at Casterbridge Hollow Boutique Hotel, basking amid mango trees next to the Casterbridge Centre – an appealing hub of eateries, art galleries and boutique shops. 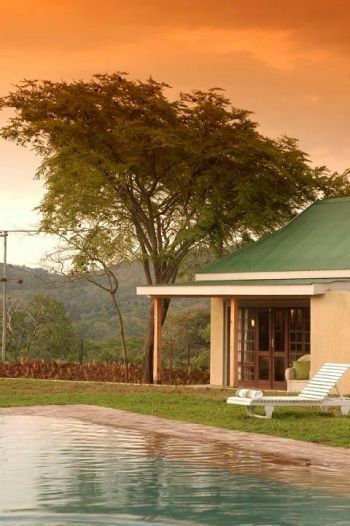 View special offer at Casterbridge Hollow: R750 per person / night, sharing. 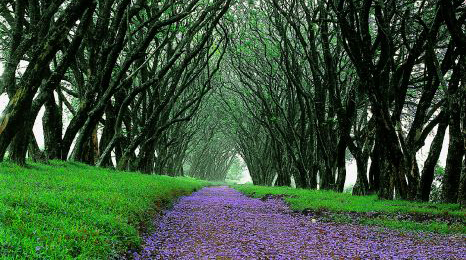 Visit the Lowveld National Botanical Garden in Nelspruit, the Sudwala Caves, and the Panorama Route. Another fabulous stay in the White River area is the beautiful Highgrove House, a five-star country house set in a quiet leafy poolgarden. 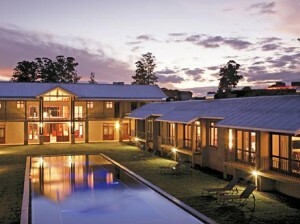 View special offer at Highrove House: R950 per person / night sharing. Mpumalanga has so many different tourist attractions that it’s almost essential to stop off for a couple of nights before enjoying the Bush.